You’ve properly heard this line for countless times in internet. Basically, it recommends you to buy when you see an asset take a nosedive, you buy it and wait for recovery then make a killing. The line can be considered as the earliest reference describing the art of contrarian investing. In June, 1815, when the battle of Waterloo was being fought, investors watched the market betting who would win, the French or the British. As soon as the battle ended, Rothschild’s courier, Rothworth was able to deliver the news ahead of Wellington’s courier, thus creating the chance for Nathan Rothschild to massively sell British Government Bonds. Indeed, he did that to create panic selling action. As soon as the wave kicked in, investors followed him and fell into the trap. When the market crashed further, Rothschild took action and bought back the stocks with help from his agents. Later on, he made a fortune from it. Many sources say that the profit was estimated around a million pounds at that time. However, the exact number is unknown as they didn’t disclose the real figure. The strategy is considered to be both successful and manipulative at the same time as Nathan was able to create a panic sell wave thanks to his insider information. However, the original quote was believed to have been said by Victor Roths, his descendant in 1871 rather than Nathan Rothschild himself. What is contrarian investing? Contrarian investing is a strategy when an investor does the opposite to what crowd does. When an asset dives down, the contrarian investors believe that this is the perfect time to buy as it is a justified correction. Additionally, having done their research properly, the contrarian investors know the intrinsic value of an asset creating a strong belief for them to hold through the correction phase. Furthermore, contrarian investors believe that optimism of the crowd is a good sign showing that the asset is not undervalued but overvalued. Therefore, they will properly take action based on the sentiment. Basically, to become a contrarian investor, you must go against the crowd. Only believe in yourself and nobody else. During 1973-1974 bear market, Warren Buffet took the chance of buying a stake of Washington Post Company. The investment gave him 100 times ROI. In 2013, the company was sold to Jeff Bezos for $250 million in cash. In 1992, George Soros shorted the British Pound creating $1 billion profit in a single day. He was then given the nickname “Man who broke the bank of England”. The move forced the reformation of British banking system. In 1939, John Templeton went into his boss’s office and begged for a loan of $10,000. After receiving the money, he bought every small-cap stocks which was worth $1 or less. At that time, stocks were hated. The total number of the stocks were estimated to be 100. After the Great Depression, all of his holding increased significantly, thus introducing him into the Investing Hall of Fame. In 2002, Marty Whitman, the manager of Third Avenue Value Fund bought K-Mart bonds both before and after it filled bankruptcy protection. During this time, each K-Mart bonds worthed only 20 cents. Having done his research thoroughly, Marty believed the bonds will jump again some days. A few years later, K-Mart bonds skyrocketed. Marty then sold his bonds making a fortune from it. At first, contrarian investing seems to be a simple strategy to apply. Buy the dip, sell the rip and then enjoy the profit. But how does one know the asset will recover after the dip? Or maybe it will sink forever and you have to sell with a massive loss? It’s not an easy question to answer. Warren Buffet, Marty Whiteman, John Templeton all did their research properly and carefully. They understood the reason why an asset had taken a nosedive, why it was undervalued, they realised the value while others didn’t. Additionally, they also diversified their portfolio to reduce the risk. Then, they took a bet and made a killing. It’s not that easy for a typical retail investor to have the same brain like Warren Buffet or George Soros. Therefore, due diligence is a must for retail investors. Below is an example when the market sentiment is right. In 2007, when the stock market was booming, many market letters claimed that it couldn’t go any lower. However, the sentiment was negative as many investors believed that sooner or later, the bear would come. Guess what? They were right! In October, 2007, the stock market reached it top and started declining the following month. If one were to bet against the 2007 sentiment, the individual would have suffered from the heavy loss. Should you become a contrarian investors? For retail investors, it’s not impossible to make a killing but you will have to make serious research before buying an asset. Understanding the intrinsic, core value is a must but how can you know that this value will help the asset skyrocket in the future? How can you use a past analysis to predict the outcome of the future? Those are tough questions but if one was able to achieve the answers to those questions then he must be one of the greatest investors all time. To become a contrarian investors, one should consider doing their own due diligence. By doing due diligence, he/she are putting a lot of effort to minimise the risk, thus increasing the chance of making a profit. - What is the intrinsic value of the asset? - Is it undervalued or overvalued? - How many times it will sink before taking a recovery? What should you do if the asset has taken too many plunges? - Is this correction justifiable? Or is there something you should know? - How much should I put into this asset? As you may know, Bitcoin is an extremely volatile asset. Within 10 days, Bitcoin can jump up and down 10% causing massive loss to many people. However, those who can survive the feeling of losing can get a nice return in the future. Again, how can you know a past analysis can decide the future? The answer is you can’t. You look at the fundamental of your crypto asset and hope it will go up in the future. Bitcoin is the father of all crypto, the first of its kind. However, when you take a look at Bitcoin, you may get mind blown. 1. What is the intrinsic value of Bitcoin? - Bitcoin uses blockchain which means it does not have any central party to control it. No one can touch your Bitcoin unless they get their hands on your private key. Additionally, Bitcoin offers anonymity which means transaction is untraceable (almost, as most wallets on exchanges for example are verified now). Moreover, Bitcoin only has limited supply, thus causing the incentive to hold Bitcoin instead of using. Furthermore, Bitcoin also utilizes DLT in its infrastructure which means one can send Bitcoin to anyone in this world as long as they have internet access. In addition, Bitcoin also implemented the triple entry accounting into the network which means all the double entry accounting entries is now enhanced and protected by cryptography. 2. Is it overvalued or undervalued? 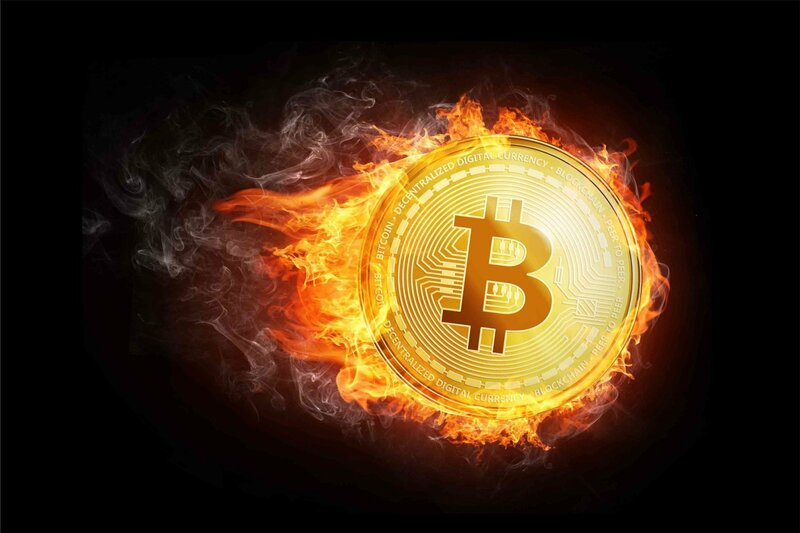 - To say Bitcoin is overvalued is not an understatement as most of the current crypto market are is full of speculators trying to make a quick buck rather than understanding the fundamental of Bitcoin. Additionally, Bitcoin also has the lowest TPS which makes it extremely hard to get mass-adopted. However, Bitcoin is also not undervalued at the same time. Why? Bitcoin offers a real product of blockchain technology. Bitcoin network run flawlessly and is protected by thousands of computers. Plus, Bitcoin is borderless, immutable and decentralised. Bitcoin users don’t have to worry about their coins as no one can steal, freeze and take away their funds without consensus. 3. What should you do if the asset took too many plunges? The total amount of Bitcoin you have after 12 months of accumulating is 0.144808 BTC which is worth around~$516 at the time of this writing. The current loss you have is around $684 equals to 57% of $1200. If you have bought it during the highest in January then the current Bitcoin you hold would be 0.057964 BTC which equals to ~$178. That’s is 86% down from the initial buy! By using DCA strategy, you would be able to mitigate the risk of losing another 29%. However, there is a downside of DCA. From our point of view, DCA is more effective during bear market than bull market. In bull market, you won’t know when the market drops. Therefore, you should also set your desired profit and not be greedy. 4. Is this correction justified? Or is there something we should know? - Bitcoin is a new emerging asset which is not suppressed by any forces beside demand and supply. (or manipulators). As demand rises, price jumps and vice versa. In 2017, Bitcoin received a wide range of coverage on social media causing the massive FOMO, thus pushing the price to its ATH. In December 2017, when CBOE and CME introduced the BTC futures, the direction changed. The sentiment have been slowing shifting from positivity to negativity since then. Back to the question, is this correction justified? Before December, 2017, there were no traditional financial institutions interested in Bitcoin. However, things changed after that. Bakkt was introduced, ETFs are t be applied, etc. Several crypto exchanges are expanding their business despite the bear market. On a side note, there are rumours that whales are buying through OTC then sell on the exchange to suppress the price. Looking at the current volume on OTC exchanges such as LocalBitcoin, Bisq and Pax, one can see that the volume has been very sustainable over the last few months despite the bear market. This means that the trading activity is still very busy behind the curtain. 5. How much should I put into Bitcoin? - A wise investor will try to make his portfolio as diversified as he can, so it means you should not buy everything. As we have analysed above, the fundamentals of Bitcoin are strong which means there are chances that it will bounce back sooner or later. However, strong fundamentals don’t mean Bitcoin won’t drop further. Therefore, buying altcoins and stablecoins is a must during the bear market. Why altcoins? Some altcoins defy the gravity of Bitcoin. Take a look at Holochain in the last 7 days, it did a fantastic gain of ~100% despite the bear market. Loopring also doesn’t care about Bitcoin and jumped 50.53% in the last 7 days. If you have already bought into those projects, you can recover some of the loss. For that reason, a balanced portfolio is a must for every investor if one doesn’t want to suffer from heavy losses. What should a contrarian investor do with the current market? As you have seen in the last few months, the market sentiment has been negative but is it really? It seems like no one wants to sell yet. So far, we haven’t seen anyone calling Bitcoin a scam, Bitcoin with not a future, that they will sell everything, etc. The majority still believes that Bitcoin is a new technology, the savior from the centralised figures and the bull will come back sooner or later. This leaves the contrarian investor to question about the current sentiment. Is it really negative? Or maybe people are being brainwashed by Bitcoin believers? A contrarian investor is an independent thinker which means their thinking is not affected by anything but their own analysis and belief. However, the downside of this investing strategy is that one can become too ignorant and skip every piece of advice, thus causing losses. Therefore, to become a contrarian investors, one must be able to make serious research, understanding their decisions, their analysis, their biases and must be able to withstand the pressure of the mass.